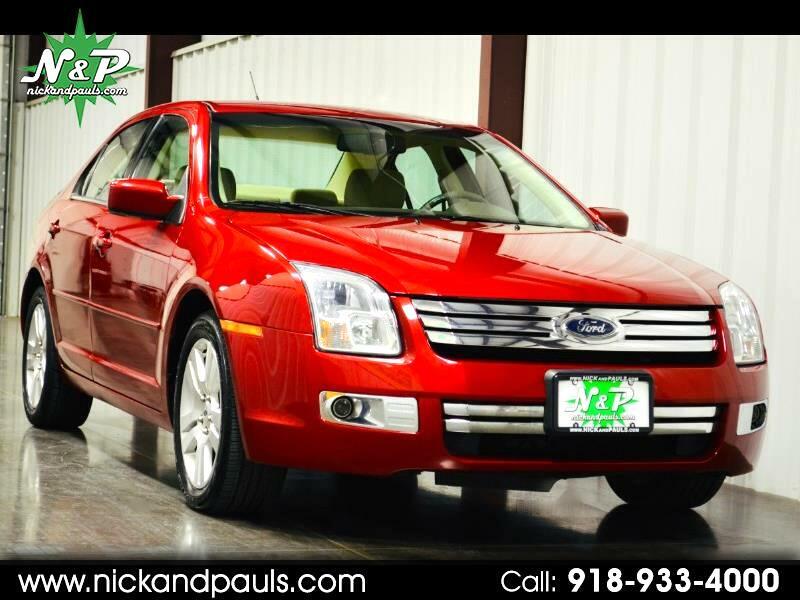 Look At The Mega Low Miles On This Ultra Nice 2008 Ford Fusion V6 SEL Sedan! Only 61K Miles! Now That's Low Miles Girl! You Better Believe It! This Is Definitely The One That You Want! It Runs And Drives Perf Mugerf! Seriously! There's Not A Ding Dong Thing Wrong With It! No Lights, Leaks, Thunks, Clunks, Nada! No Way Jose! Issue Free For Real! With An Extra Clean Cloth Interior, Auxiliary Audio, Power Drivers Seat, Super Sporty Spoiler, Great Looking Alloy Wheels, And Triple Meaty With Cheese Tires! Awwwww Yeah! Everyone Loves A Nice Ford Fusion! You Know It's True! 100% CARFAX Certified And Ready To Go! Better Hurry! These Are Extremely Popular And Always Sell Fast!